This was the most debatable entry on my list – I watched the entire first season, and the first few episodes of the second, but kept delaying watching the Rocky Horror Picture Show tribute episode because I’ve never had all that much love for Rocky Horror, and Glee was already going in the wrong direction. I originally intended to watch it and catch up but as time went forward and I fell more and more episodes behind, I found myself not really wanting to watch it. I started viewing it as a chore more than as entertainment, which is probably the ultimate bad sign for a show. I think I even loaded an episode once or twice and hulu and then switched to something else before watching. It’s pretty easy to explain why Glee has gone downhill ever since the first half of its first season. The musical sequences have always been excellent. I haven’t always enjoyed their versions of songs, but the quality and production values are always top notch and the choreography is very well done. The other elements that make up a show have changed, however and Glee hasn’t decided exactly what type of show it wants to be. When I started watching, I told people that if you knew Glee just for the music, you were missing the point; there was a lot more going on. Watching those first episodes, I was tempted to skip the songs. It was a smart high school satire with a couple of absurd soapy plots arcs which were set up in the first couple of episodes and paced out throughout the first half of the season. The two most important were main teacher Will’s wife claiming to be pregnant, but lying about it, and the pregnancy of head cheerleader Quinn, who was both trying to keep the pregnancy a secret and lying about who the father was. 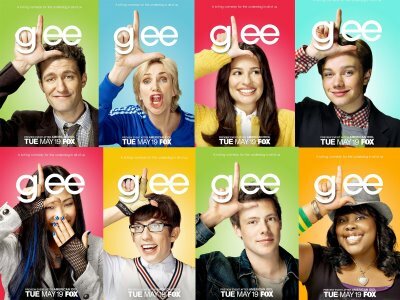 Current Glee has lost it’s way and here’s why. While that first half of the first season appeared to be plotted ahead of time, later plots seamed to be ramshackle and written on the fly. Some episodes started what seemed like a major plot, and then the show would just forget about it, or remember it five episodes later in a different form. There was no plan and the writers seemed to be making it as they went along. Second, there was no consistency within the characters. Cheerleader Quinn is probably the best example of this – her personality changed depending on what the week’s episode needed her to be to tell it’s story. One week she was learned and wise after having to deal with the exclusion of being pregnant in high school, and the next week she was a catty cheerleader again, and these traded off with a few other personality traits thrown in occasionally. The show feels stale and misguided just a year after it started, which is sad, because it really is a good idea. It’s not easy to keep writing new interesting plots without being repetitive. Making later seasons of televisions are more difficult than early ones because you have to tell something new without treading old ground, but you’ve formed limits to what you can do by the plots and characters you’ve built in the past. That said, some shows just aren’t up to the task of lasting, and it’s too bad. Glee appears to be one of them. Best episode of the most recent season: I’m limited but what I’ve seen, but I’ll pick “Britney/Brittany” because it gave focus to one of the better characters, the slow-witted Brittany, and there were some pretty good Brittany Spears sequences. Although other parts of the episode were kind of stupid, that’s the case in just about all of them.